I’m posting this because I like it so much. 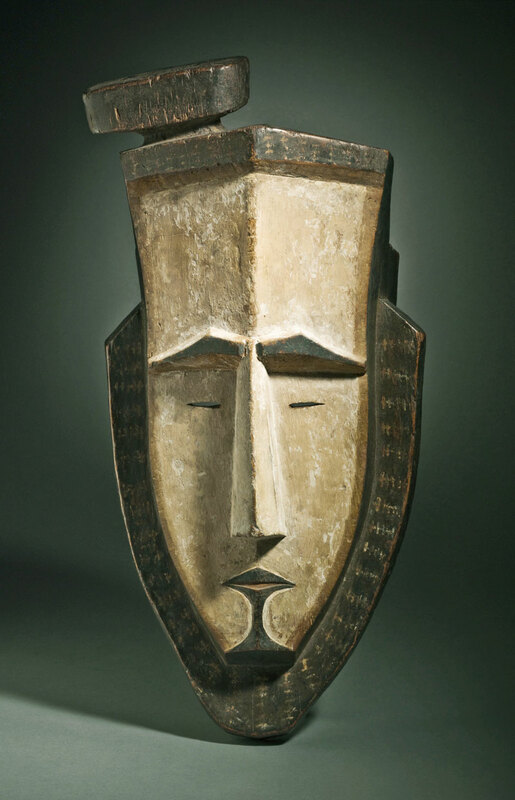 Traditional masks that rely mostly on carving can result in very fine sculptures. 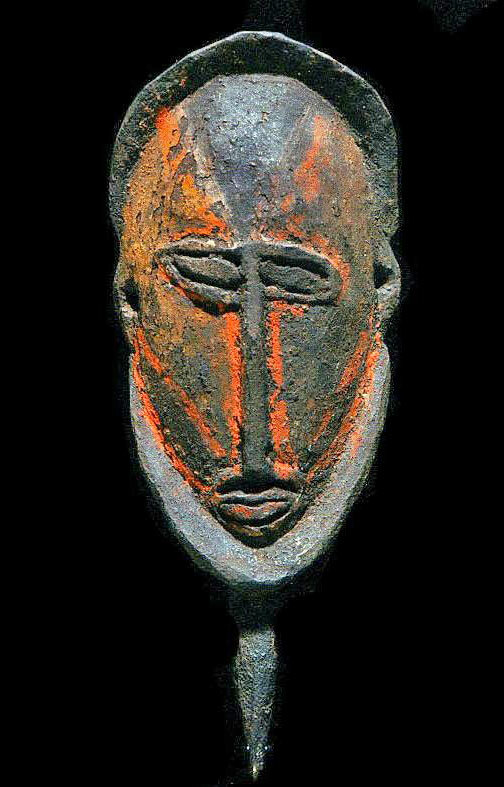 There are examples of this in Africa and indigenous cultures around the world, but they are rare compared to masks with color or adornments. Timor is an island in the South Pacific under Sulawesi and the Moluccas. Half of the island is the eastern end of Indonesia. 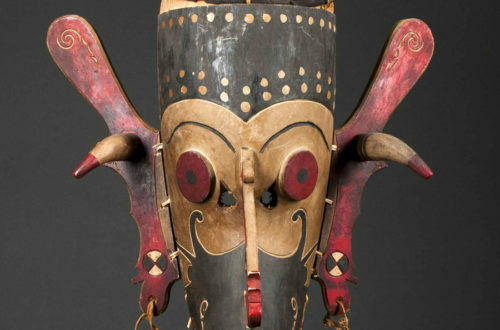 Masks and other tribal arts are still being made there. 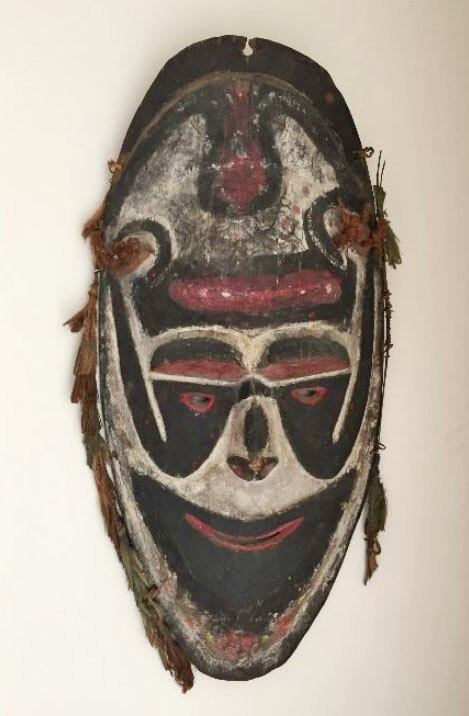 This one would be old and used for celebrating an ancestor or communicating with spirits. 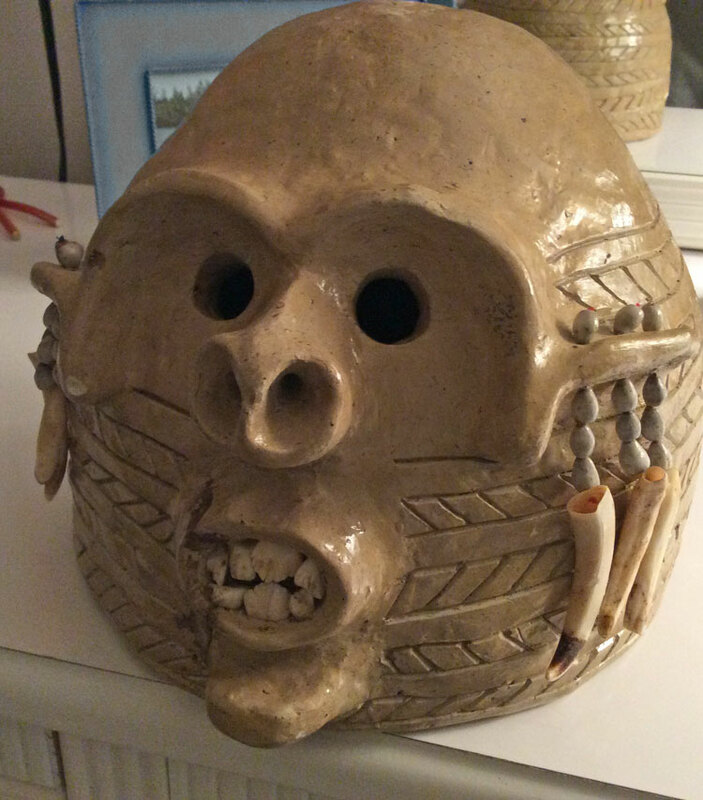 Full disclosure– I am an artist, not an anthropologist. 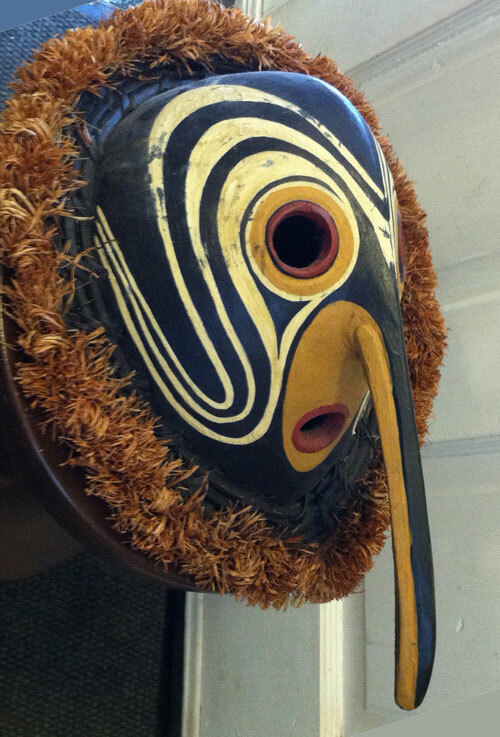 Unlike the red, white and black Hudok masks with their long beaks and wings, the shamans’ come in different colors and designs. 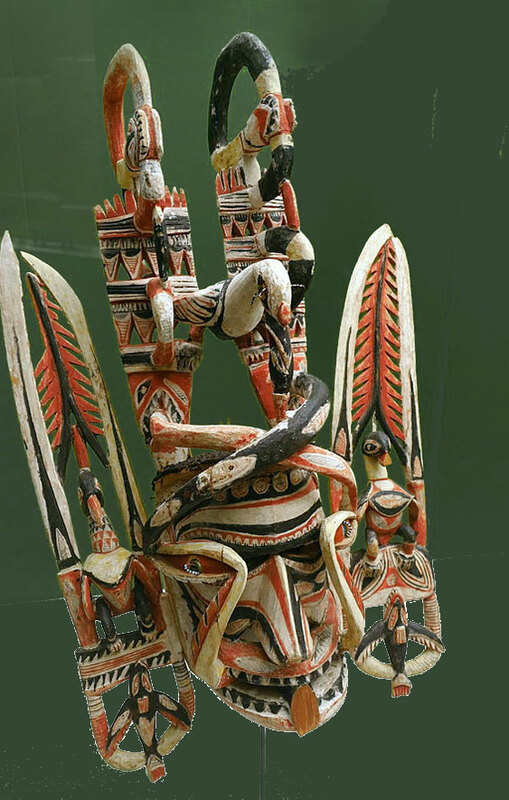 They can also be rather plain with little or no color.The Iban people are one branch of the Dayak tribe of Borneo. Another large group is the Bidayu culture which occupy the region of Sarawak. 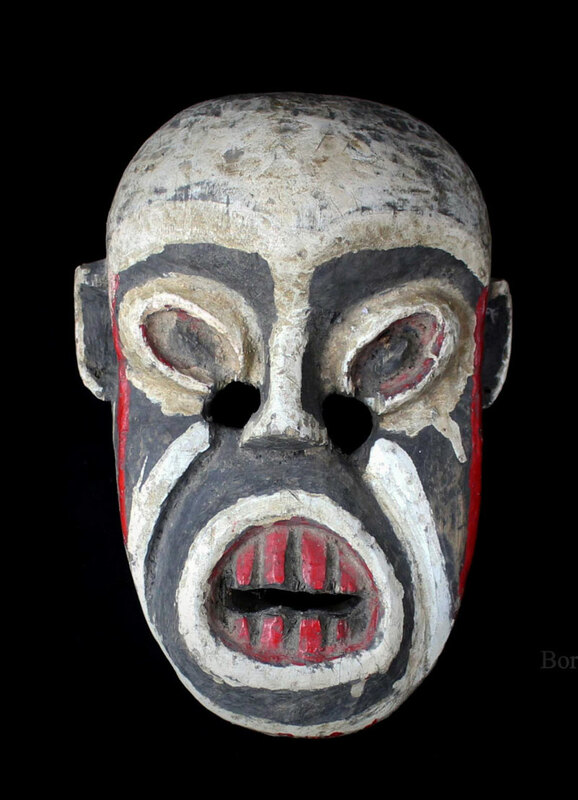 Actually, the second photo is a hunters mask. 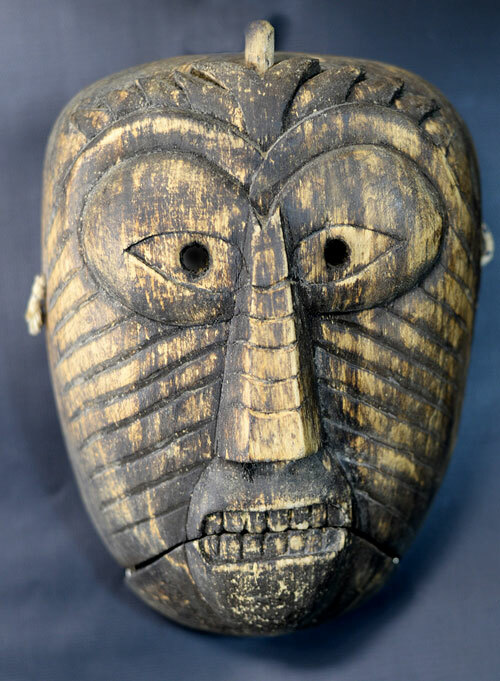 You can see more Borneo masks, including the famous Hudok, in our “Oceanic” category. 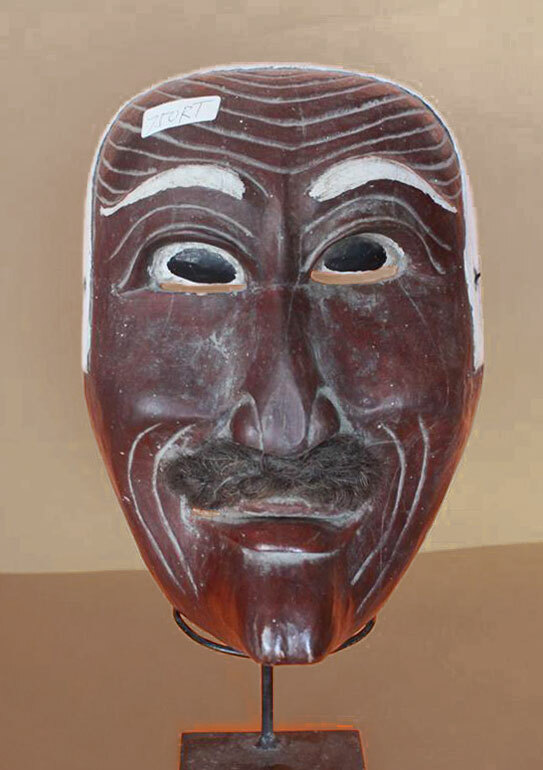 Bacolod is known for its Masskara Festival which is a parade and party like that of Brazil. 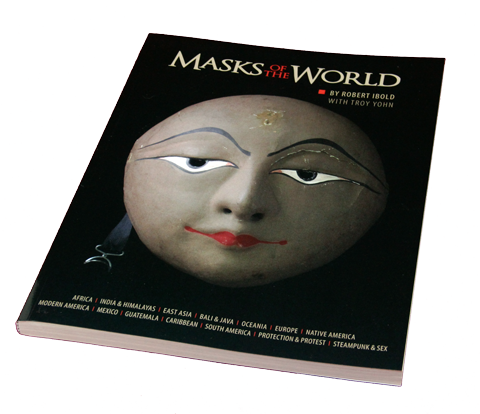 People wear masks and party out on the street, drinking, eating and having a great time. 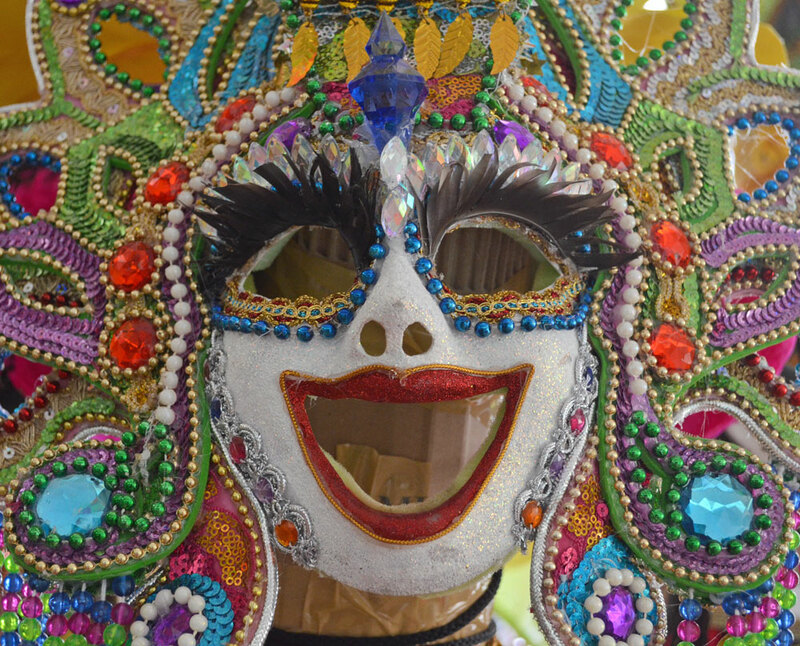 The mask motif of the festival has changed from masks influenced by native Spanish-speaking Filipinos to those influenced by the Carnival of Venice and the Rio Carnival. 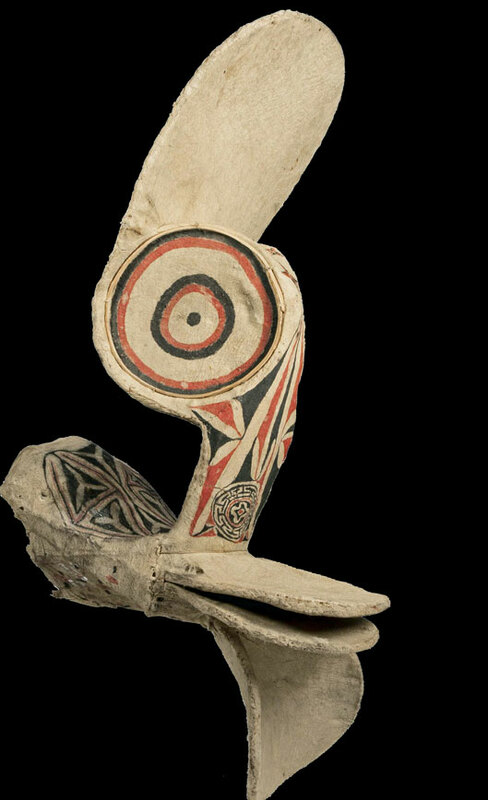 Earlier masks were hand-painted and adorned with feathers, flowers and native beads, while contemporary masks feature plastic beads and sequins. There is a big festival in the Spanish colonial tradition in Marinduque that is religious in nature. 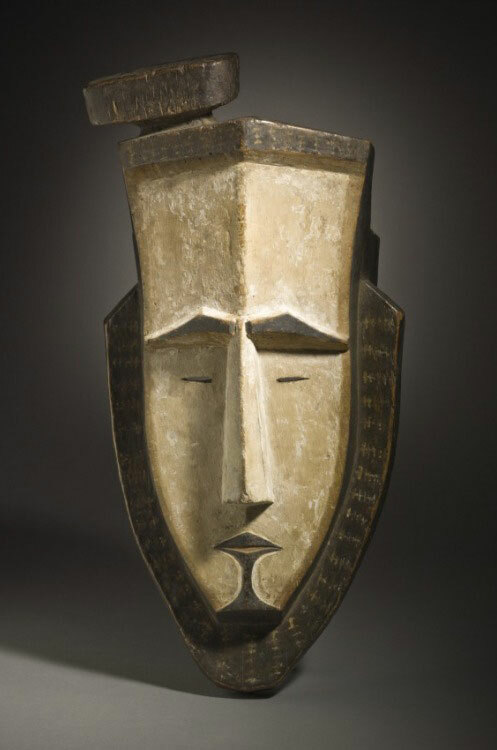 You can see a much different Morione mask in the Oceania Categories. 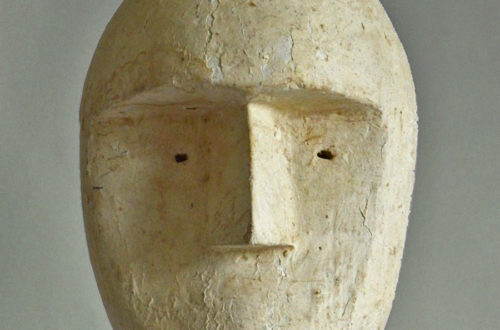 I recently posted a wooden yam mask in bright yellow. 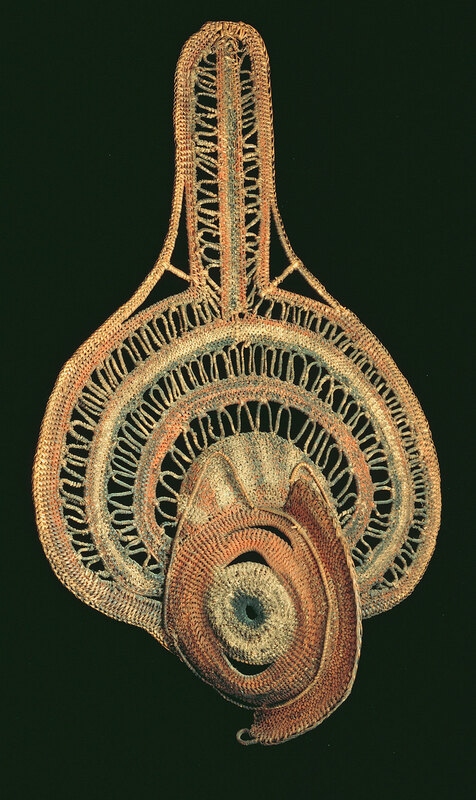 Here is a much different, woven-basket yam mask from the Abelam people, Maprik district, Sepik region, Papua New Guinea. It looks large– about 18 inches. 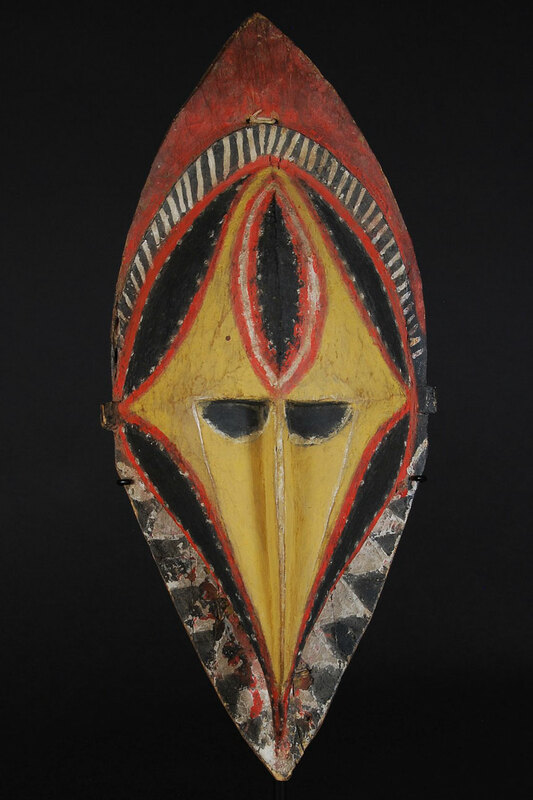 Basket yam masks are also an essential part of the elaborate yam harvest ceremonies and festivals for the Abelam people. Rituals associated with yams form the basis of the spiritual life for them. 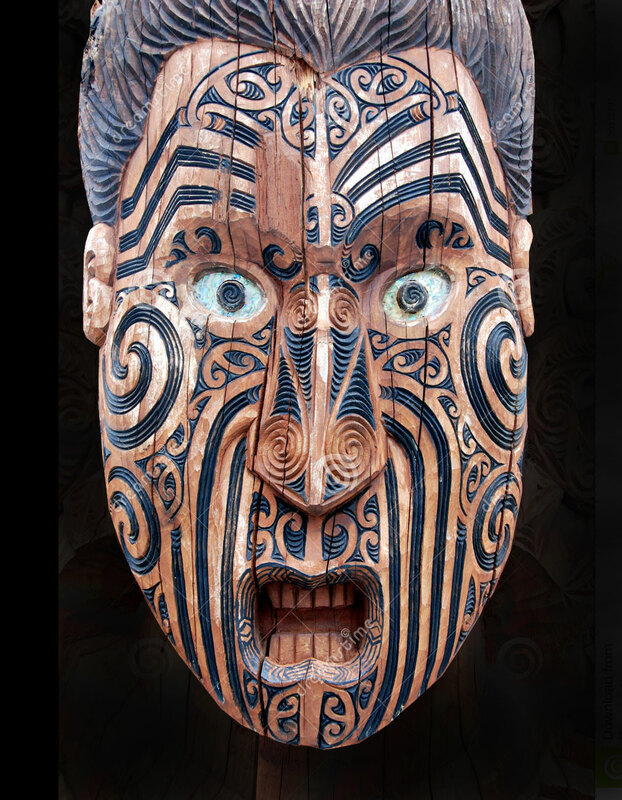 Both the woven and the wood examples are important for collectors to have. 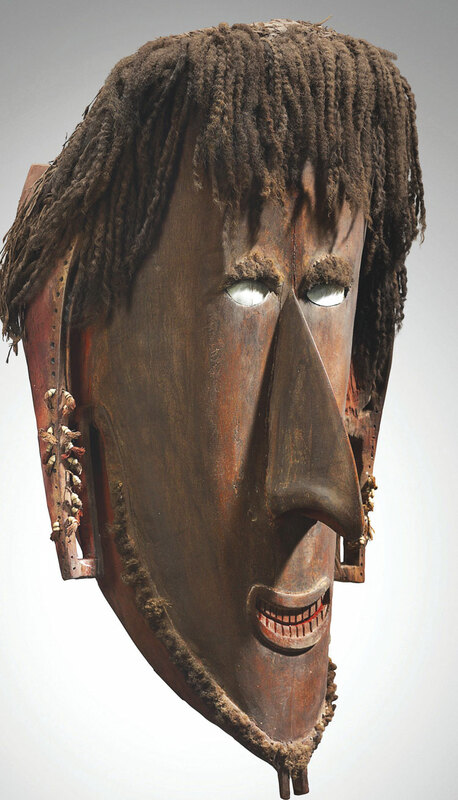 Here we have a yam mask from the Abelam people of Maprik, East Sepik Province, Papua New Guinea. 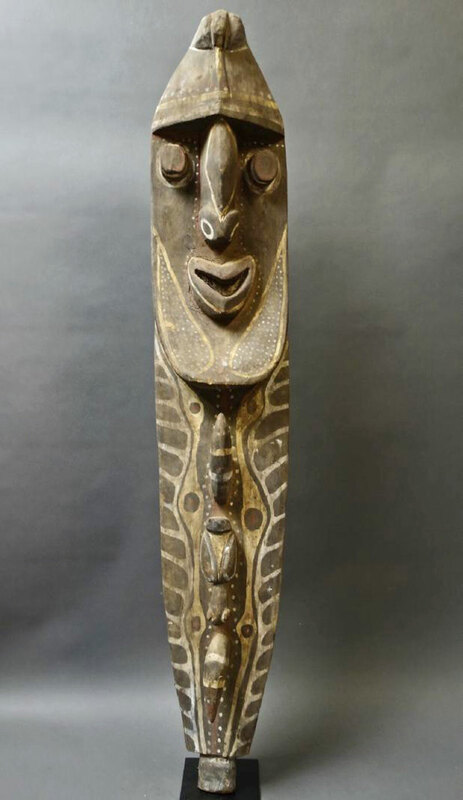 It is mid 20th century, but the wood carving and colorful natural pigments are still in good condition. It is 11.5 inches high. Yams are the most important crop in PNG. 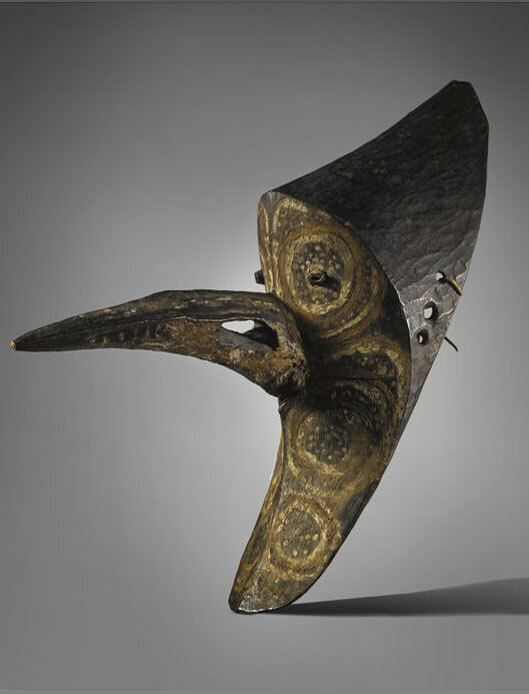 This design is a carved replica of a bird of paradise and it is very common for the yam ceremonies. 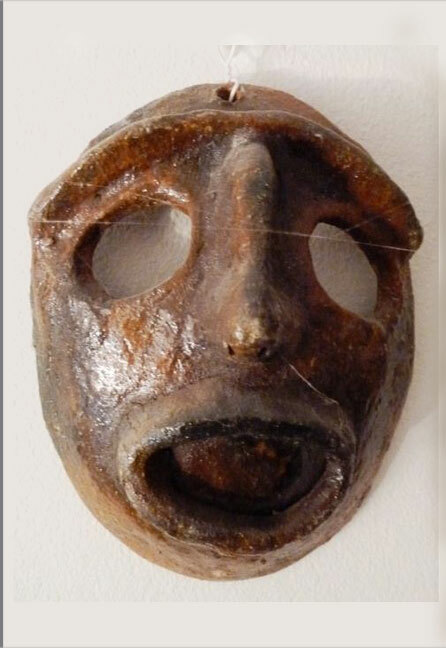 There are woven yam masks that are much different. I found this yellow beauty at the Morgan Oakes Gallery. 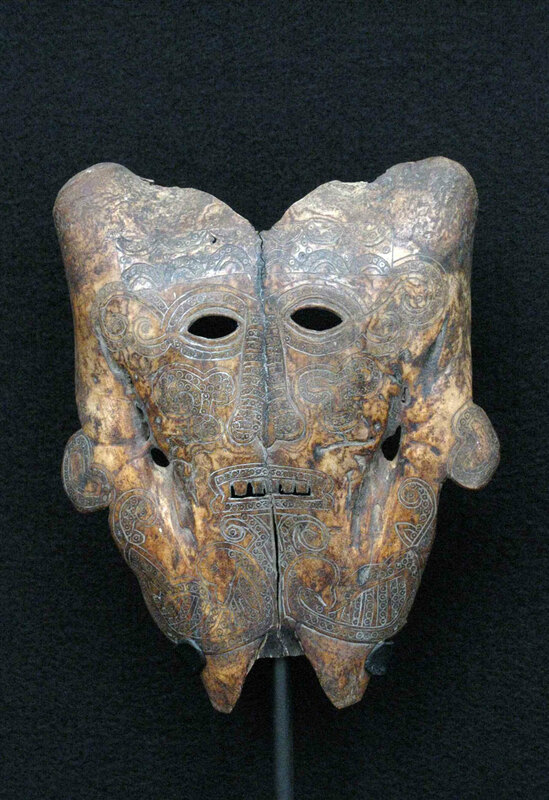 Our bone mask from the Moluccas Islands is beautiful with its subtle carving and unusual shape. 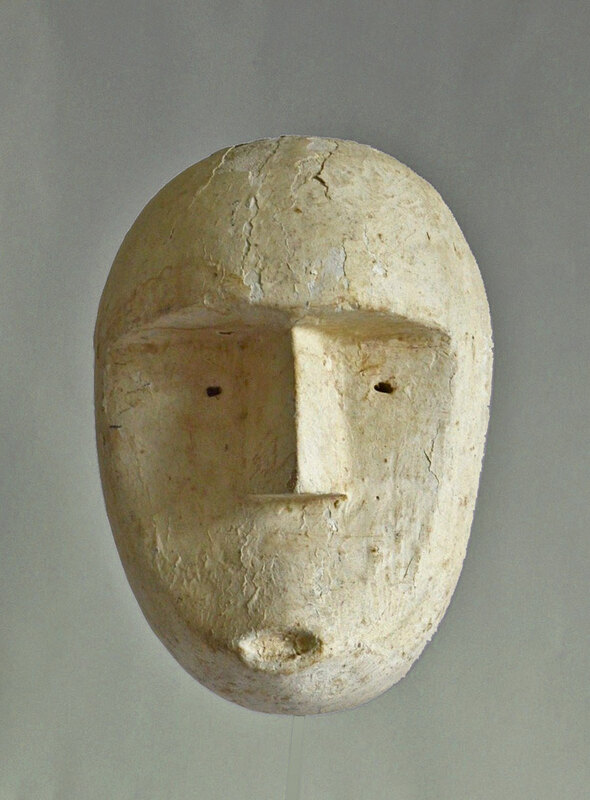 The Moluccans, located North of Timor and East of Sulawesi, became part of Indonesia in 1950. 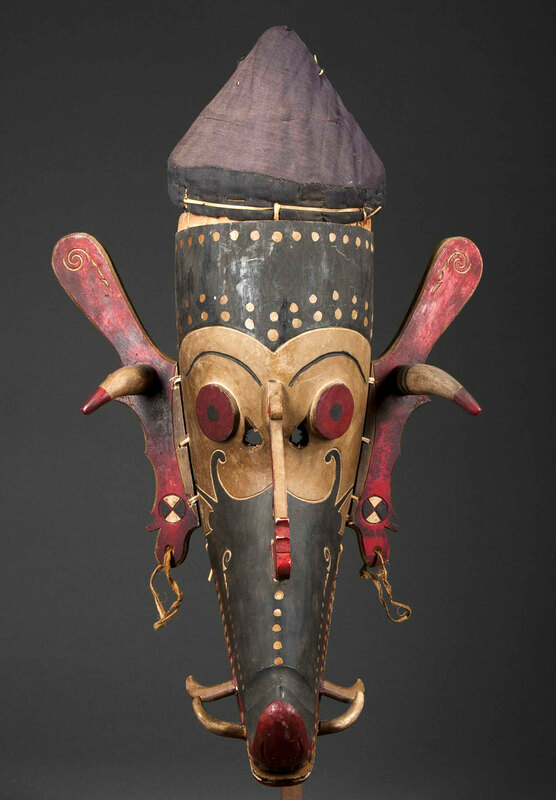 Wish I could tell you more about this unique mask. 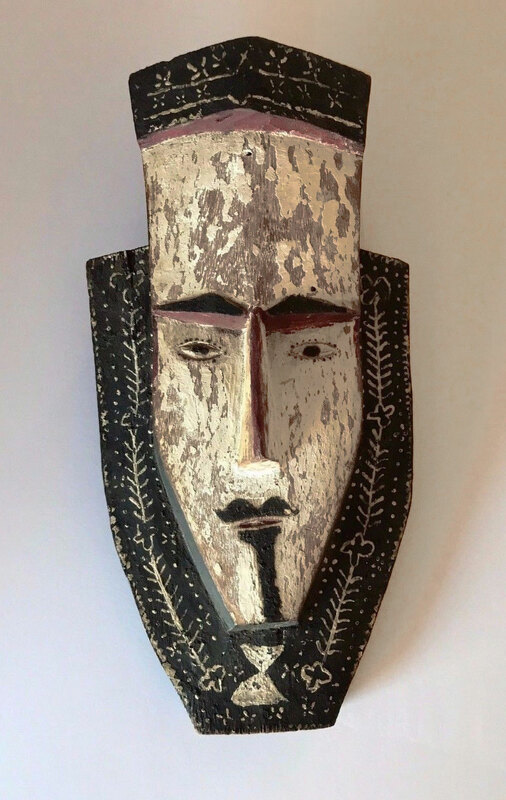 Though “Ask the Mask Man” is mostly about telling new owners what they have, I frequently add photos that I find interesting. 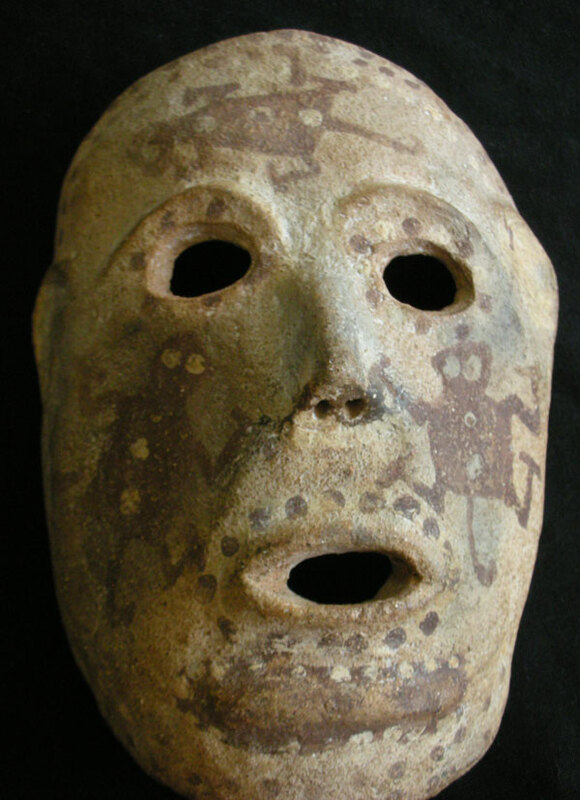 Then I categories each mask and add it to one of 15 groups which you can easily access. I hope “Categories” has become a useful research tool for some of you collectors.